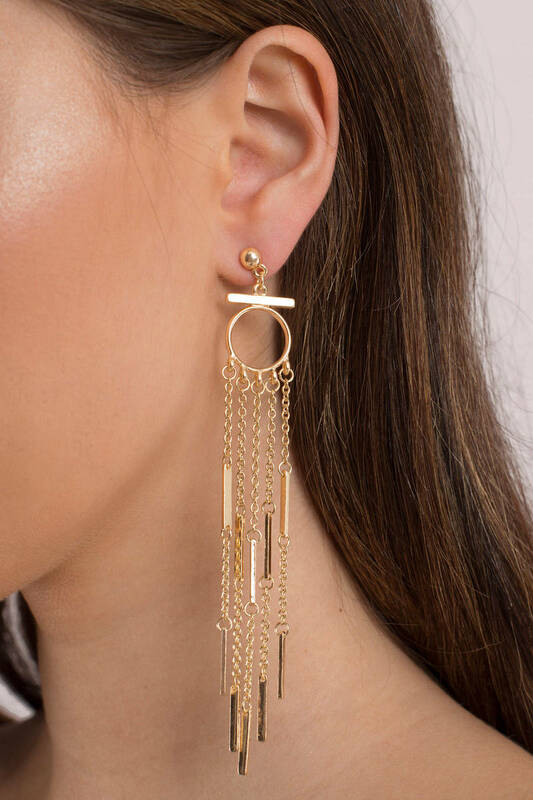 Check out Tobi's Swing From The Chandelier Dangle Earrings Make it a party to remember with the Gold Swing From The Chandelier Dangle Earrings. With a push fastening, the earrings feature five chains and bars dangling from a gold tone ring. These dangly earrings will finish off any night out look with ease. Make it a party to remember with the Gold Swing From The Chandelier Dangle Earrings. With a push fastening, the earrings feature five chains and bars dangling from a gold tone ring. 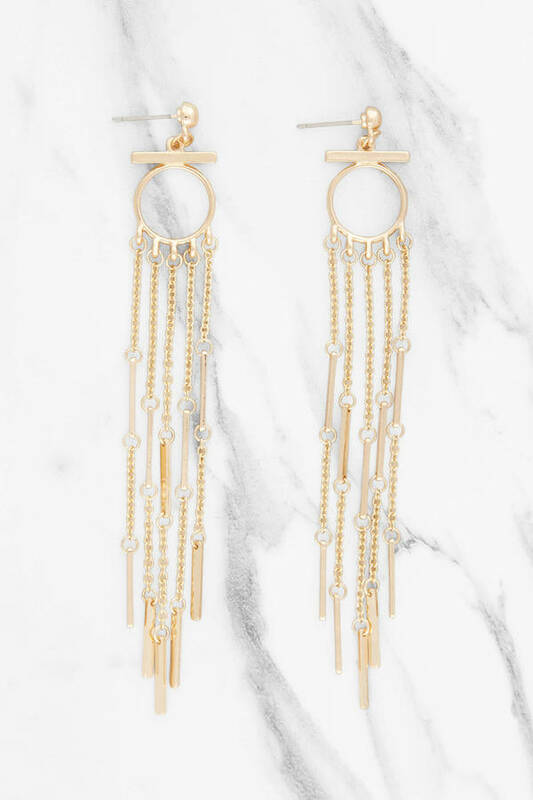 These dangly earrings will finish off any night out look with ease.